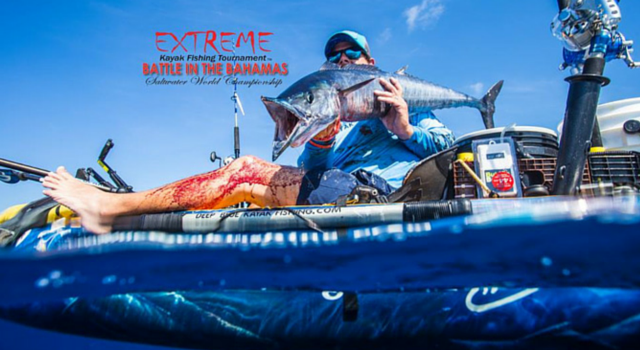 I – along with several members of the Yak Gear Brand Ambassadors and RAILBLAZA Pro Staff – recently got a chance to compete in the Extreme Kayak Fishing Tournament – Battle in the Bahamas. After a 1,226 mile drive from Houston, Texas I arrived in Ft. Lauderdale Florida on Monday morning to begin the process of getting my Viking kayak and all my gear inspected by customs and loaded onto the ship headed for Grand Bahamas. Early Tuesday morning we all met at the docks to begin our journey. Somewhere on this short 4 hour cruise it began to set in that we were all truly extreme kayak fisherman. What an opportunity! 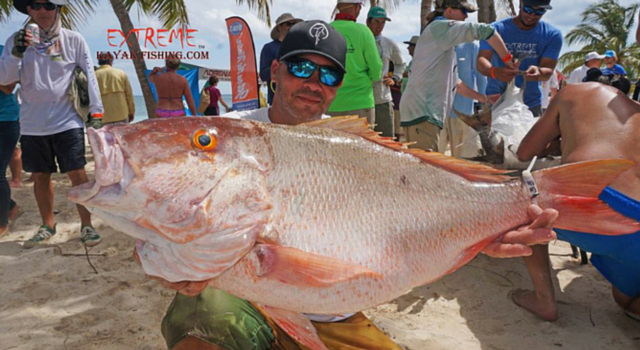 A chance to test ourselves among some of the best offshore kayak fisherman around the world and do it on beautiful Grand Bahamas Island. The tournament days were on us before we knew it and the action was pretty fast and furious with almost a dozen different species landed. In rough conditions with so much going on, gear began to play a major part in success rate. Those who came unprepared quickly found themselves fighting a losing battle against monster fish and tough seas. One of the cool parts of fishing the Extreme Series is that there are help boats to be called to get great pictures, hold fish, deliver bait, and assist in any way. I found myself fumbling for my radio when big fish hit and subsequently lost a nice Wahoo when I couldn’t keep tension on the line. Yak Gear Brand Ambassador Eric McDonald questioned why I was not using the RAILBLAZA Mobile Device Holder to secure my VHF radio. I had forgot about that little product and Eric quickly rubbed it in. Coincidentally, he hooked up with a nice Wahoo that helped him secure 2nd place. While fighting the fish he was able to easily reach his secured VHF and called in the photographer. His reward was this gorgeous shot. “I see a lot of guys out there fumbling around for their radios and RAILBLAZA has made a perfect product to secure it even in the rough conditions” Eric explained. 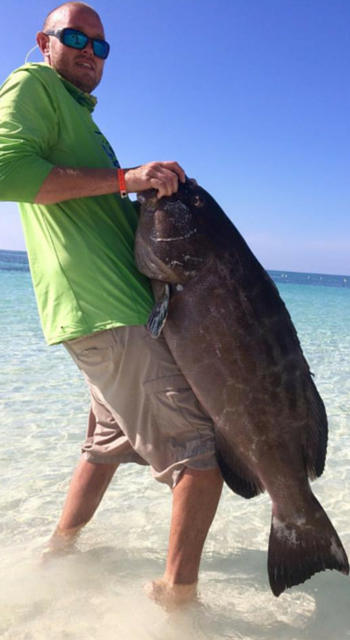 We all learned a lot about the type of gear it takes it tame the monsters that can be found in The Bahamas. We can’t wait to get back there and do it again next year!